TNB refurbishment was a more technical experience related to fire-safety regulations and interior re-organising of the National Theatre in Bucharest. For such a big project, the work was broken down between many companies. 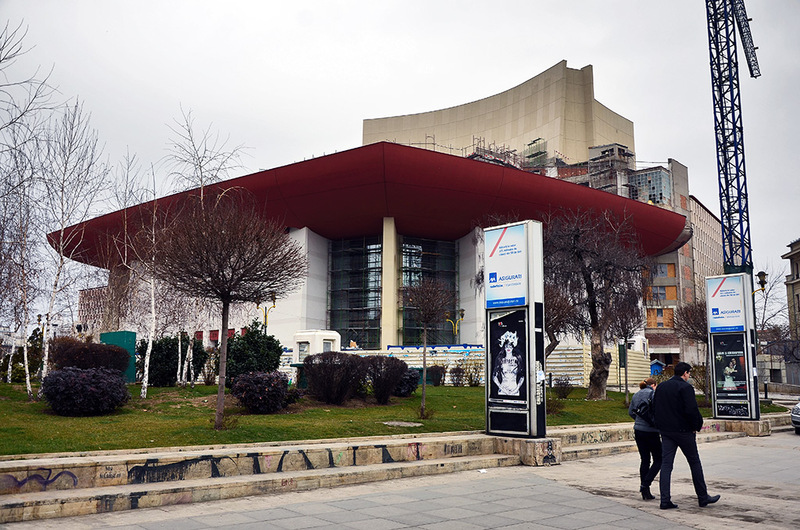 The project itself dealt with rolling back the facade to the ante 1980 modifications, internal reorganising, adding more theater rooms, cafes, public spaces, as well as a new library for the employees, open-air theater on the roof, new theater museum and many more minor changes. Also the existing halls and rooms had to be upgraded to follow the current fire safety regulations. New staircases, elevators and intermediary rooms had to be put in place. Team: Alexandru Voinescu | Laura Darie | David Stancu @KUB Architects S.R.L.